obert Boulware is a 1961 graduate of Florida State University with a Bachelor's degree in Music Education, certification in Vocal Pedagogy and in Mathematics Education. In 1975 he received a Master's degree in Education from Rollins College. He taught junior and senior high school choral music and mathematic in Polk County FL for 28 years. In 1967 he founded the Lakeland Choral Society in Lakeland FL, which he directed for 14 years. He was Choir Director of First Presbyterian Church (Lakeland) from 1971 until 2004, where he directed two handbell choirs, three adult choirs, and a large youth choir. 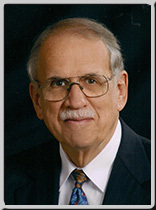 He retired from his position as Director of Fine Arts Ministries in 2004. His memberships include the Presbyterian Associatons of Musicians and the American Choral Directors Association.